This will be a fun, instructive and creative class. We will be making a variety of fabric printing blocks and cutting our own stencil designs. 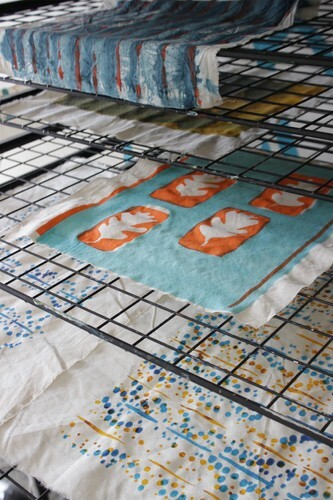 Over the day, we will experiment on some calico fabric and by the end of the workshop you will have several squares of your printed cotton to take away - perfect for whipping up your own unique cushions or crafts. Colours will be carefully mixed, and we will learn about pattern repetition.